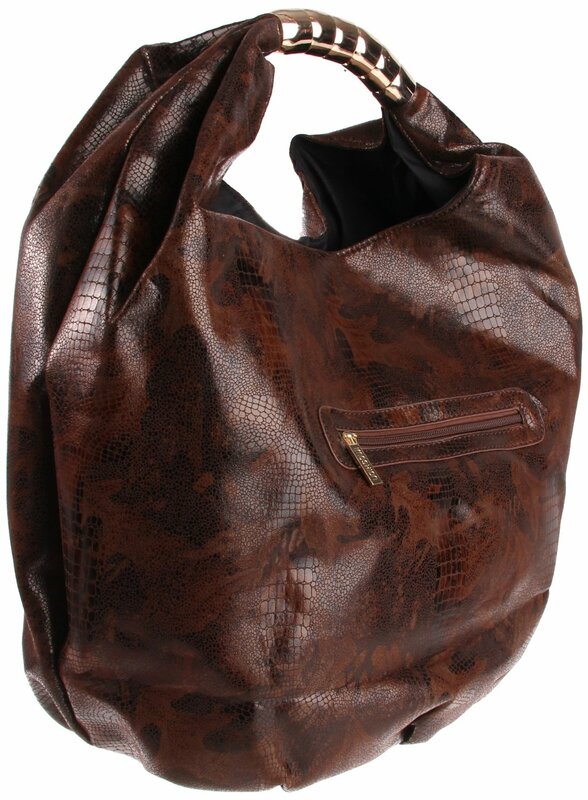 Gorgeous big bag with snake skin shiny print in the Imoshion Leah Handbag. Metal wrapped handle with an outside zip pocket and and inside zip pocket. Two interior cell phone pockets. If you love big bags, this is the one for you!